Casio America has just launched a hot new collection of stylish and versatile timepieces with the introduction of the Black X Rose Gold Series to its popular Edifice Black Label Collection. 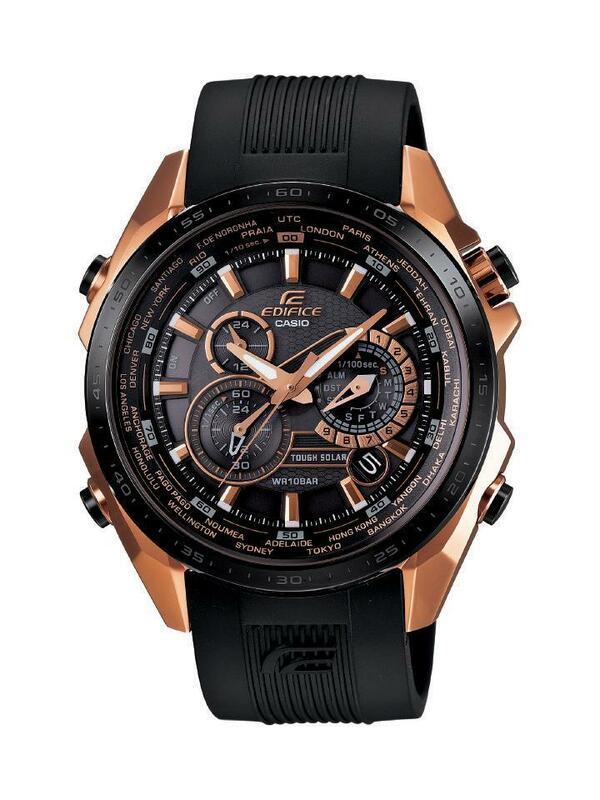 The Black X Rose Gold Series features three models, the EQWM1100CG-1, EQS500CG-1A and EFR516PG-1AV, which emphasize the Edifice Black Label Collection’s dynamic design and advanced technological capabilities with a bold rose gold twist. 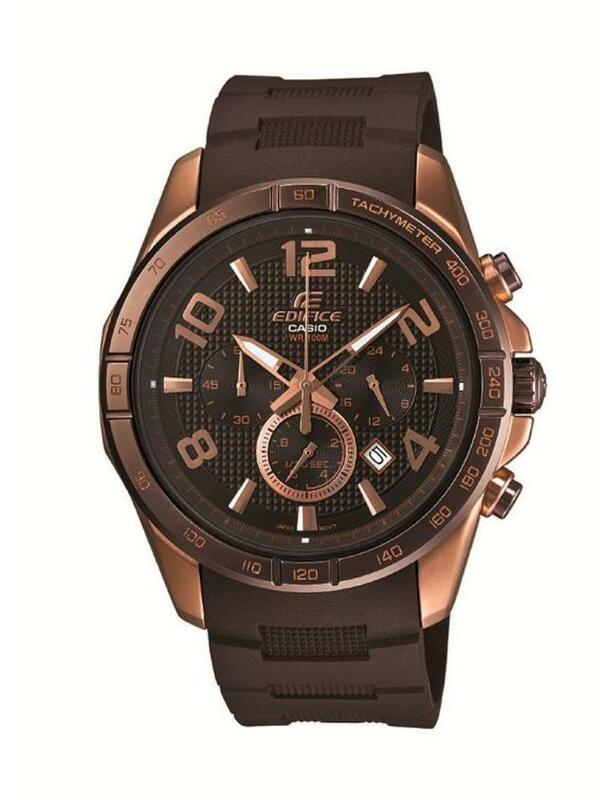 The Black X Rose Gold Series offers a variety of features including water resistance up to 100 metres, world time, chronograph and more. 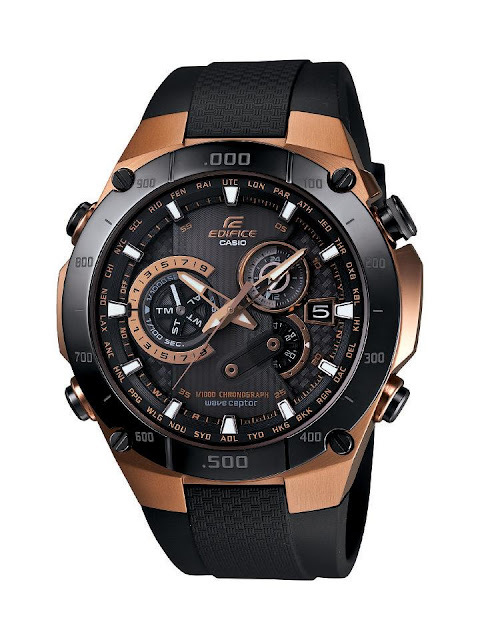 Designed in the sophisticated Black Label style, the EQWM1100CG-1, EQS500CG-1A and EFR516PG-1AV have bold, eye catching looks with comfortable black resin bands and right on trend rose gold accents – making the Black X Gold Collection suitable for both leisure and more formal occasions. “We are excited to unveil the Black X Rose Gold Series which builds on the rich feature set and unique design the EDIFICE Collection is known for. These new timepieces provide a stylish, yet practical solution to meet the needs of the on-the-go lifestyle of consumers who are looking for an all encompassing timepiece.” Shigenori Itoh, Chairman and CEO of Casio America, Inc. Equipped with Casio’s Self-Adjusting Multi-Band 6 Atomic Timekeeping technology, the EQWM1100CG-1 automatically adjusts for daylight saving time and leap years, and synchronizes with atomic clocks in the US, Germany, the UK, China and two in Japan based on the user’s home city setting. The EQWM1100CG-1A also possesses 3D dial with chronograph that dynamically displays elapsed time measurements to within 1/1000th of a second. The EQS500CG-1A has a chronograph that measures 1/100th of a second and includes essential features such as solar power, daily alarm and a full-auto calendar. And Casio’s EFR516PG-1AV is outfitted with a 1/20th second chronograph, date display and tachymeter. All three Edifice Black X Rose Gold will be available in October 2012 at select retailers throughout the USA. As for prices, the EQWM1100CG-1 can be purchased for $450.00, the EQS500CG-1A for $330.00 and the EFR516PG-1AV for $200.00.